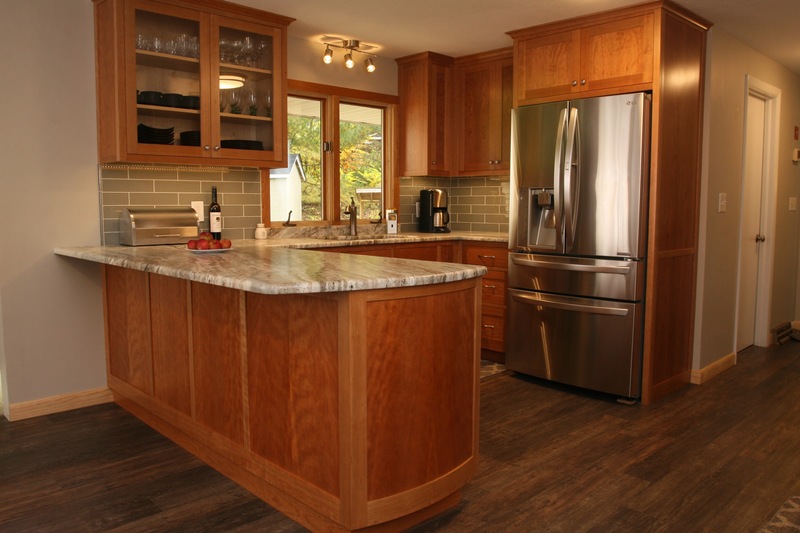 There’s nothing like custom cabinetry to make a statement in a kitchen, bathroom, or other area of a house. Whether it’s face frame with inset doors, frameless, or a combination of both, most cabinetmakers can agree on what constitutes high end custom cabinets. For face frame cabinets, it might be a run of cabinets with a single face frame rather than individual boxes screwed together, scribe allowances on the wall stiles for a clean look with no fillers, or mitered corners where the face frame meets the applied side panels amongst other details. For all cabinets, it includes no visible fasteners, 3/4″ cabinet sides and possibly 1/2″ backs, tight joinery, and sturdy fasteners. While we all have our own idea of what constitutes high end cabinetry, most of us would agree on a core set of concepts that captures the essence of quality. If only we could agree on how to build our cabinets! The old adage that if you get ten woodworkers in a room, you’ll get eleven ideas on how to build something certainly applies to the cabinetmaking industry. This is one of the reasons it’s difficult to design a software design package that meets everyone’s needs: there are an infinite number of variations on cabinet construction. Certainly, there are software packages that strive to cover nearly every conceivable construction method; however, these packages are very expensive, often starting around $15,000 and topping out above $30,000. Prices in this range can be out of reach for the small to mid-size shop. As the cabinetmaking market gets more and more competitive, it can be difficult to compete without sophisticated design software that can quickly get you from screen to machine. 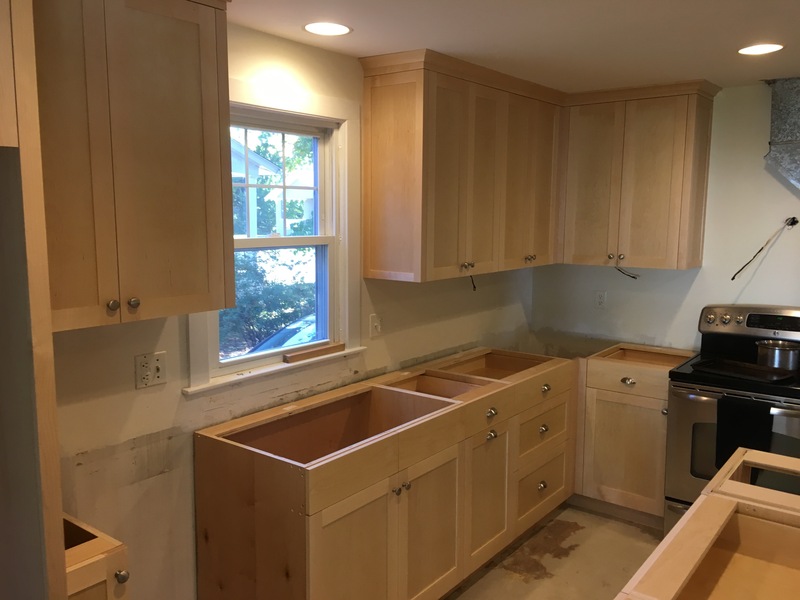 There are a number of lower cost packages on the market that claim to be optimized for custom cabinetry, but when you dig deeper, you find out that the reason they are inexpensive is because they’ve left out all the important parts that allow you to design truly custom cabinets. For example, they might only allow you to draw individual cabinets, rather than a run of cabinets with an integrated face frame, making it unusable in the custom cabinet industry. In designing CabWriter, we had to make some important decisions regarding what we could and could not support while still keeping the price affordable. We also wanted to insure that it was powerful and flexible enough for the professional, but also to make it accessible for someone who builds the occasional cabinet in their home shop. One of the reasons many of the software packages on the market are so expensive is that they try to do everything – including support for 3D CAD functionality, shop drawing generation, advanced cutlisting capability and directly supporting gcode generation for a wide variety CNC machines. Early on, we realized we couldn’t write all of that from scratch and keep CabWriter within reach of shops or homeowners with modest budgets. So, we decided to leverage software that was already out on the market and let others do what they do best, so we could add our contribution and create a suite of software packages with many of the capabilities offered by the big boys. Because we built CabWriter as a plugin (or extension) to SketchUp, you automatically get a world class 3D modeling software package that is becoming more popular every year. In fact, many shop owners are already using SketchUp as a presentation tool, but then typically use other software programs to create their shop drawings, cutlists, and CNC Export. SketchUp is an easy tool to use to quickly block out designs for presentation, but much more laborious and time consuming if you want to draw your cabinets part by part to make shop drawing and cutlist generation easier. CabWriter’s value-add is that it allows you to draw cabinets parametrically within SketchUp. 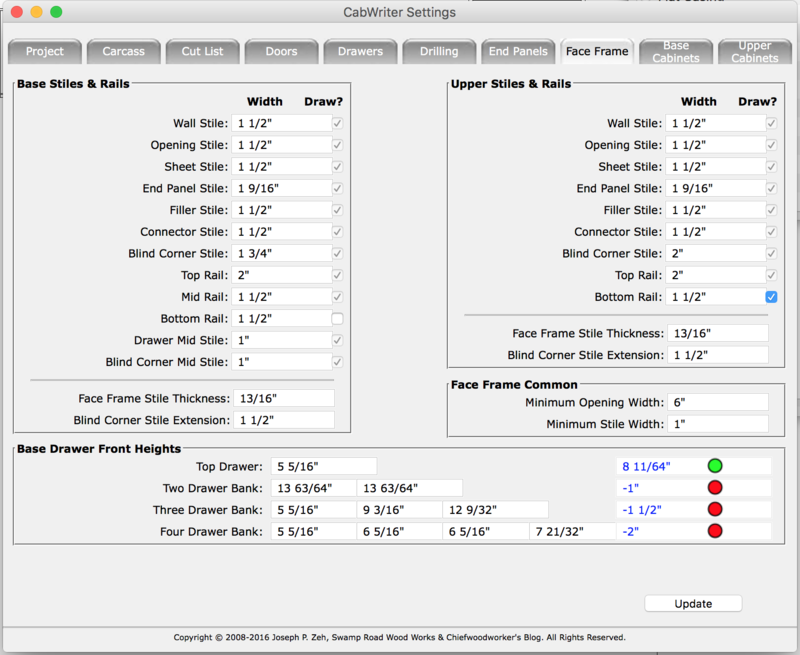 Very simply, this means that you modify a set list of parameters that define how your cabinets are constructed. Then, you simply lay out where your cabinets go within a room using CabWriter’s innovative story stick tool and tell CabWriter the type and dimensions of each of the cabinets. CabWriter then draws your cabinets part by part, exactly as you would build them. 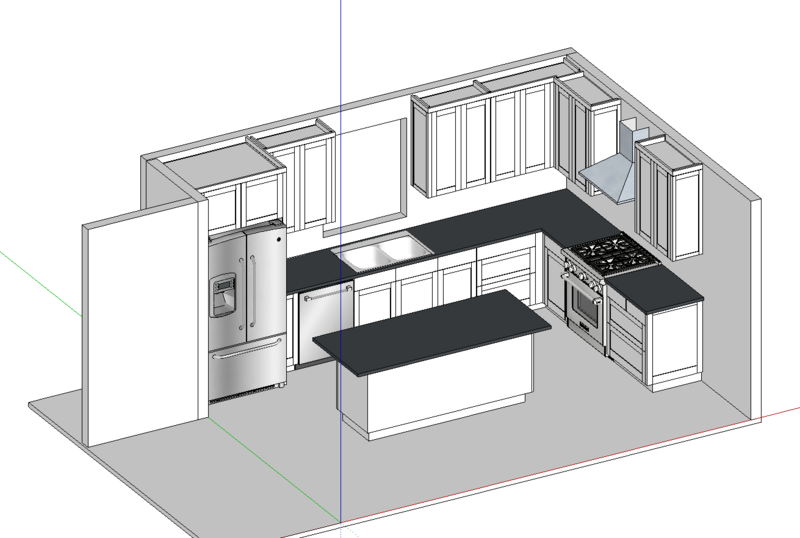 There are other SketchUp plugins on the market that attempt these same functions, but they are typically limited to drawing discrete cabinets instead of the longer runs of cabinets that define higher end face frame cabinets, for example. One of the reasons for this is that they often rely on Sketchup’s dynamic component capability. On the surface, this seems like a good idea, but in reality, it puts too many limits on the modifications you can make to a cabinet. Dynamic components allow you to draw an object that has a number of pre-defined ways you can modify it. In the case of a cabinet, that could be the height, width, depth, number of drawers, depth of drawers, number of doors, etc. However, if you wanted to make a somewhat non-standard tweak to a cabinet, for example, notching or extending a cabinet side, or adding a part that doesn’t naturally get drawn, you’re out of luck. CabWriter takes a different approach. It uses the parameters you define and draws each part natively, exactly as if you did it yourself. The advantage of this is that if we don’t exactly support your construction method, CabWriter can draw most of what you need and you can use Sketchup’s native drawing tools to make the necessary modifications you need. This adds up to an enormous time savings. Even though you might have to make a few tweaks, most of the work is done for you. But in most cases, we support your construction method and you have to make very few modifications. We feel this is the real breakthrough of CabWriter; we don’t support every conceivable construction method, but SketchUp provides the tools to make the changes you need. 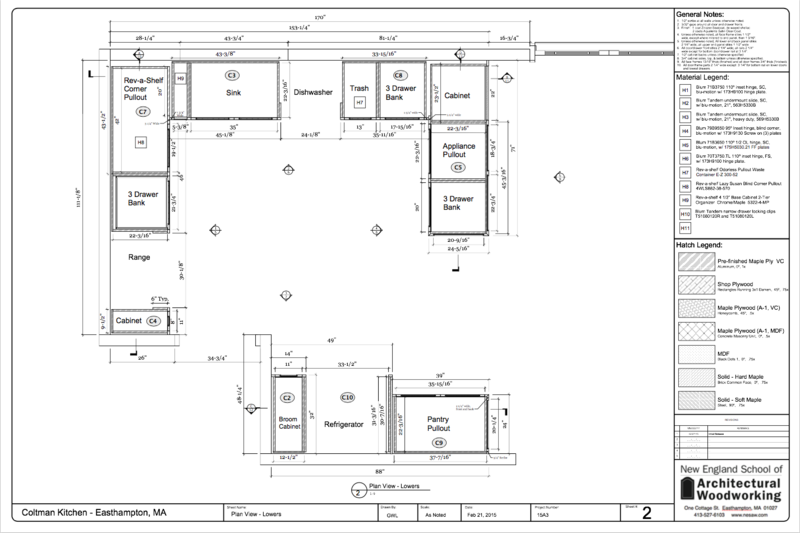 The fact that you now have a 3D model that is accurate, part by part, means that you can use Sketchup’s native tools to create sections and Sketchup Pro’s Layout module to create professional shop drawings. CabWriter also provides capabilities using the Cutlist Bridge companion tools that allow you to quickly export cultists in either Excel or in a format that can be directly read in by Cutlist Plus fx, as well as optional CNC Integration. So, even though we don’t actively support every conceivable construction method, you can use SketchUp to fill in the blanks, and then all of the other support applications do what they do best to add additional value. However, if you don’t already have a preferred construction method, or would like to learn about a simple, efficient, and high quality construction method based on industry best practices and fully supported by CabWriter, we urge you to visit our cabinet construction page to learn more details.